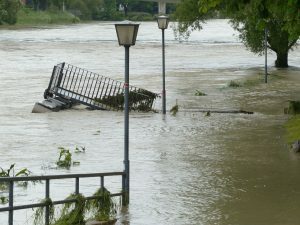 Home / News / Latest News / Flood Defence: Is the UK Heading in the Wrong Direction? Flood Defence: Is the UK Heading in the Wrong Direction? Almost undoubtedly, every year the UK is hit with devastating floods caused by bad weather and strong winds, and those who live by the coast often endure the worst of it. Even in the summer months, England can be hit with unexpected downpour that ruins homes, causes damage, and affects lives. Through all of this inevitability, we still seem unable to cope with the havoc caused by our unpredictable weather, and so we thought we would explore this further. The first weeks of 2014 saw Britain awash with flooding that caused destruction along the west and south west coast. Almost every day there were new reports of the damage being caused by the adverse weather, with countless people unable to enter their own homes and hundreds of people being evacuated from seafront towns. Similar incidents have been seen throughout the summer of 2015, with places in the south, such as Kent and Sussex, being affected by strong storms and lightning. On one evening in August, it was reported by the BBC that within nine hours, Eastbourne received more rain than the average for the entire month of August. As the stormy weather doesn’t look likely to stop taking us by surprise any time soon, many experts are calling into question the government’s response to the flooding, claiming it is heading in the wrong direction. The Committee for Climate Change have stated that despite the fact that extreme weather is expected to continue, homes and buildings are still being built on top of flood plains and green space continues to be paved over. They believe that it will take hundreds of millions of pounds to keep the flooding from getting worse, despite the fact that the government has already spent a record amount. Focusing on repairing the damage to homes and properties after it has happened is too narrow a viewpoint. The Committee believe that the entire UK water system needs to be re-engineered in order to catch water in upland areas before it begins flooding downstream. 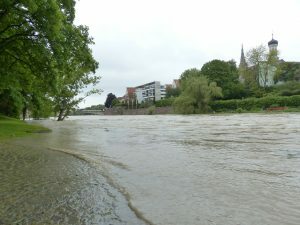 Continued development in areas that have a significant risk of flooding is one of the key areas to blame, as well as the loss of green space in urban areas that would traditionally absorb surface water. As weather and water damage continues to dominate the country’s headlines, the debate over how to prevent similar problems in the future will continue. If your home has been affected by the recent spout of storms, we can help you by undertaking repairs on a wide range of buildings. If you are in need of assistance or information, call us on 01865 580 067 today.